finishing & furnishing of buildings, etc. In VAT, tax is levied on sale or purchase of goods. In relation to cases of works contracts which involve transfer of property in goods, transfer of property in goods involved in the execution of works contract has been defined to be a sale of goods by the person who transfers such property in goods and at the same time, purchase of goods has been defined by the person to whom such property is transferred. In cases in which contractor himself executes the contract, it is the sale of goods made by the contractor and purchase made by the contractee. But in cases in which main contractor awards sub-contracts to sub-contractors, before execution of the subcontract, i.e. before incorporation of goods in the works, property in goods belongs to subcontractor and when such goods are incorporated in the works, property in such goods (whether as goods or in some other form) belongs to the contractee. It is by definition relating to sale and purchase of goods in cases of works contracts. Here it is to be noted that value of goods paid by contractee to main contractor is different from the value of goods paid by main contractor to subcontractor. Which value of goods is liable to VAT in the hands of subcontractor? Admittedly, subcontractor transfers property for a sum lesser than the sum received or receivable by the main contractor. If subcontractor is liable to VAT on the value which it receives from main contractor, what will happen to the differential amount of value of goods in the hands of the main contractor? Most of the States have prescribed labour and service part for contracts of various natures. But when main contractor splits main contract in various subcontracts, nature of these subcontracts may be different from the nature of the main contracts. For example in case of main contract of building contracts, subcontracts may be classified as contracts for building construction, for supply and fixing of electrical goods, fittings and fixtures, for supply and installation of air conditioners, for wood work, etc. Import question is that for the purpose of levy of tax, in what category such subcontracts should be classified? Whether such subcontracts, treating them as part of main contract, should also be classified as contract of building construction? Most of the States have provided for making Tax Deduction at Source. Under such provision, contractee has to make deduction on payments made to main contractor. In such circumstances, it has been provided that while making deduction by the contractee, amount on which main contractor has already made deduction shall, for the purpose of making deduction, be excluded from the amount being paid by the contractee. This suggests that main contractor is not liable to tax on the value on which subcontractor is liable to pay tax. 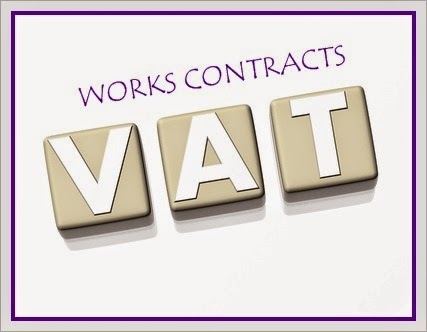 Whether it suggests that for the purpose of assessment of VAT of main contractor, total contract value should be considered and benefit of value of goods on which subcontractors have already paid VAT should be deducted? Should resultant value be treated as part of the turnover? Can we infer that assessment of main contractor cannot be finalized unless subcontractor furnished details of goods in which he has transferred property in goods? If it is so, whether it is required that main contractors should be allowed extra time for furnishing Periodical Returns? Another aspect relates to computation of VAT liability in cases of works contracts. One method may be that in respect of part of works contract executed in a particular month, contractor should find out the value of various goods in which property has been transferred. He should also find out purchase value of such goods (including freight and other expenses incurred in bringing those goods to the work’s site). Thereafter, after treating uniform rate of value addition in all goods same, he should determine the value of goods in the proportion of the purchase value of goods transferred Another way of computing VAT for various periods of Tax Returns, initially, the contractor should decide the proportion of goods to be transferred. This can be done on the basis on which contract value is estimated. In each tax period, from the amount receivable, part (percentage) of labour and services should be subtracted and remaining value should be treated value of goods. This value should be divided in the proportion of total value of goods to be transferred. Here it is to be pointed out that in first case, value receivable will not be correct value. Assuming, contract relates to building construction in which deduction of 30 percent of labour and services is permissible. Suppose in a particular month, contractor installs air conditioner. We know installation of air conditioners does not involve 30 percent towards labour and services. So, if contractor deducts 30 percent amount towards labour & service charges, value of air conditioners receivable will fall short of its purchase price and hence contractor will pay less amount of tax. In second case, since proportion is to be worked out on total goods to be incorporated in the works after treating uniform percentage of profit, values will be determined for each tax period irrespective of goods transferred in such period. Therefore, actual tax will be determined. Moreover that if there is increase in total value of contract due to price rise, the same will be taken into account. In this case, the contractor will have to determine proportion of goods value once while in first case he will have to determine such proportion in each tax period. My inferences may or may not be correct. Readers are advised to give their valuable comments in brief for the benefit of the readers.